Alter The Press! 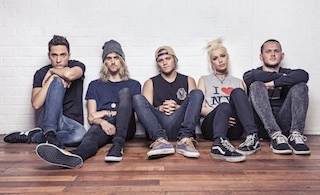 : Tonight Alive Cover Avril Lavigne's "I'm With You"
Tonight Alive Cover Avril Lavigne's "I'm With You"
Tonight Alive recently recorded an acoustic cover of Avril Lavigne's hit single, "I'm With You." You watch the band's awesome rendition of the Canadian rocker's song below.